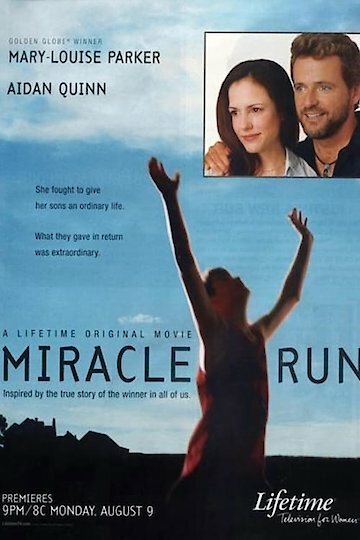 The film entitled Miracle Run is about a mother named Corrine has two sons who are a set of twins known as Stephen and Philip. She is devastated to find out that her two sons are autistic. Philip cannot construct his own sentences but simply repeats what other people say while Stephen does not talk at all. She leaves the clinic very discouraged about the health condition of her boys and instead of going home directly she takes them grocery shopping. The experience at the shop is not pleasant at all as the boys run around crying in the shop and Philip wets himself and everyone starts looking at him. Corrine’s boyfriend who was living with them decides to move out because he knows what it takes to raise twins who have a disability. Corrine then decides to relocate with her kids to a nearby town where she puts them in a public school. In their new school, their course mates as well as teachers are surprised at the way they behave. After a thorough examination of the kid’s activities Corrine is summoned by the school’s administration and is told by the head teacher that the boys are not capable of attending a public school but need to be enrolled in a school where their special needs will be catered for. Corrine gets in touch with psychiatrists from the mental hospital in the area and a team of therapists come over to their house to teach the boys how to talk. After some thorough lessons and follow up with the therapist the boys improve in every aspect having to do with their verbal abilities, social skills and academic capabilities. Corrine takes the boys out for a competition in which Philip and Stephen both take part in. Stephen takes part in running where he wins his race. Later on Philip is enrolled in a music school where he uses his newly discovered guitar playing talent. At the end Corrine opens a foundation for dealing with autistic children. Miracle Run is currently available to watch and stream, download on demand at Amazon Prime online.